Women’s Spaces Radio Show with host Elaine B. Holtz and guests Shekeyna Black on Sonoma County Peace & Justice Center Concert in the Hub and Dr. Jacqueline Lawrence on Racial Discussion Group, recorded on 8/27/18, has been uploaded to the web archives. Women’s Spaces Radio Show with host Elaine B. Holtz and guests Shekeyna Black on Sonoma County Peace & Justice Center Concert in the Hub and Dr. Jacqueline Lawrence on Racial Discussion Group, recorded on 8/27/18, has been uploaded to the web archives. The show was recorded, broadcast and streamed over Radio KBBF 89.1 FM in the NorthBay on Monday 8/27/18 and repeat broadcast and streamed over Radio KPCA 103.3 FM in Petaluma on Tuesday 8/28/18. 1. 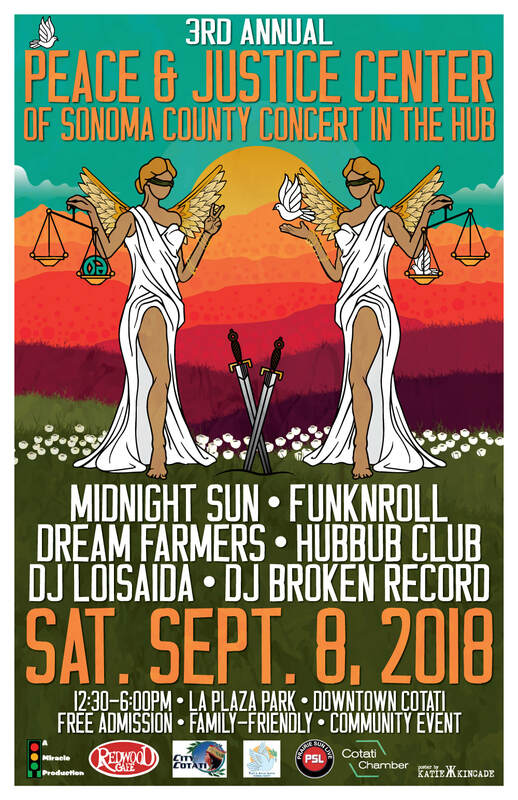 Shekeyna Black gives us an update on some of the activities happening at the Sonoma County Peace and Justice Center and to talk about their 3rd annual Concert in the Hub to happen on Saturday September 8, 2018 from 12:30 PM to 6:00 PM at La Plaza Park in Cotati. See the event poster under Announcements. About our Guest: Shekeyna Black has been the Center Coordinator of the Peace & Justice Center of Sonoma County for 3 years. She grew up in Los Angeles County and moved to Sonoma County in 1986 to attend Sonoma State University where she earned a degree in Theatre Arts. She went on later to earn another Bachelors in Organizational Management and a Masters in Entertainment Business. She is passionate about music as a way to connect people from diverse backgrounds. Additionally, she has her own business called A Miracle Production that produces bands, concerts, festivals and events. She does bookings and publicity for shows at Redwood Cafe in Cotati. She is the Director of Entertainment for the publication, Upbeat Times. She is a mother to four adult kids. 2. Dr. Jacqueline Lawrence talks about the free Racial Discussion Group that she will be facillitating at the Santa Rosa Main Library this evening, Monday, August 27 at 6:30 PM. Dr. Lawrence has written and produced plays on slavery to help both white- and black-skinned people to understand the roots of racism and the racism we assumed into our subconscious from our growing up. About our Guest: Dr. Jacqueline Lawrence, grew up in Santa Rosa and earned her Bachelor’s degree in Business Administration from Tuskegee University, and Masters in Theology and Doctorate Degrees in Christian Counseling from Sacramento Theological Seminary. 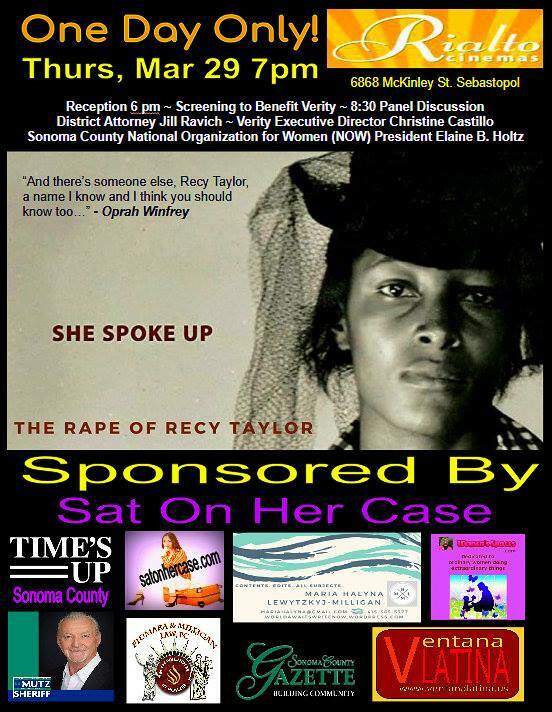 An author, playwright, actress, singer, and Founder and CEO of Legacy Showcases, a black history production company which features Heiress Choral Group, pop up museum, theatrical presentations, workshops, and events, Lawrence is dedicated to reviving the legacy of her enslaved ancestors and providing reparations to her people in the areas of education, empowerment, and inspiration.